Studying abroad is by far the most enriching thing I have ever done in my life. For the past semester I have been in London, aka the best city on earth. I say that, because it literally has everything you could possibly want in a city. Looking back on the semester it was one of the best times of my life. Going to a country where you do not know anyone or anything can be rough, but in London they speak English, which makes life a lot easier. While in London I studied at the University of Westminster, located right in the center of London, the students and professors are very helpful with anything that you need, just like in the states. I was able to go through the program of ISA, they sat everything up so all I needed to do was show up in London on the date specified and they would take care of the rest. It was a very stress free experience. The history there is amazing, the buildings have amazing architecture, and the city does not seem to even have been effected by the war. While I was abroad I had the opportunity to visit France, Belgium, and Germany. Since London is so close it is very easy to get to all of these places either by air or train. Even though I went and visited those countries London topped all of them. While I was overseas talking to everyone back in the states is just as easy as when you are home, almost everywhere you go has Wi-Fi. I have been back for just a week and I already want to go back. The past 14 weeks have flown by and I wish they didn’t. While abroad you don’t think about when you will be coming home because you are having such a good time with new friends and the new culture you have just been introduced to. 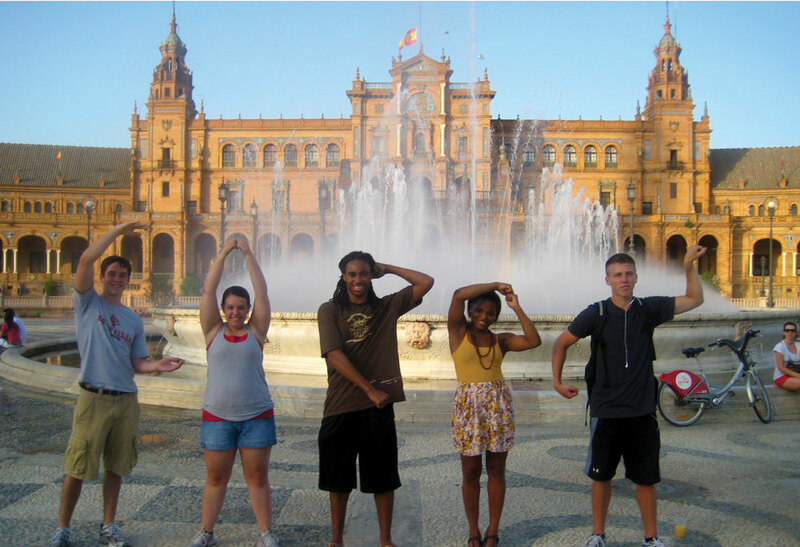 If you have the chance to study abroad anywhere do not think twice about it, take advantage of the situation. Trust me it will be the best time of your life!